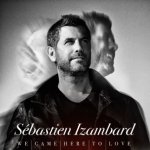 Sébastien Izambard, one quarter of the massive classical crossover group Il Divo , announces his debut UK solo album ‘We Came Here To Love’ released February 2nd 2018 on Entertainment One. ‘We Came Here To Love’ is a natural step forward for the self-taught French singer/guitarist/pianist, who also produced the record. 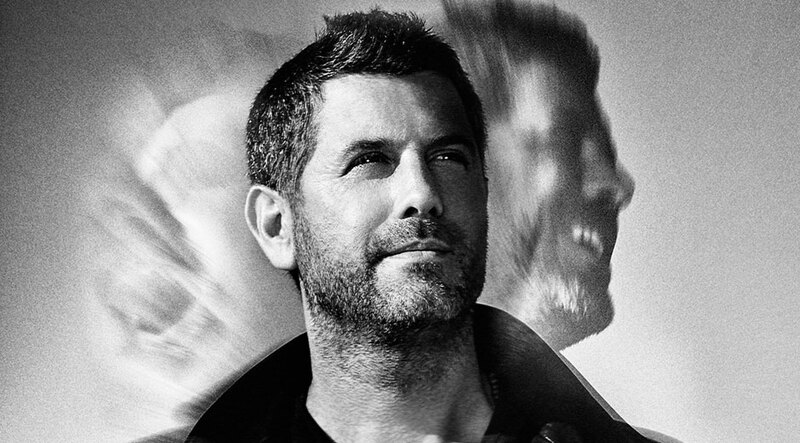 The album features 11 original songs written or co-written by Sébastien Izambard and showcases his eclectic influences from The Weeknd and Coldplay to James Blake and Adele, from pop and dance to the classical crossover that he’s known for. The Paris native began playing guitar and piano as a child, and his love of music grew from there. “Music became my food, my therapy and my savior,” said Sébastien Izambard. He released his debut album in 2000 before joining Il Divo in 2003. That group has gone on to become one of the most popular crossover groups of all time, selling over 30 million records worldwide. Born and raised in a single-parent household in the 16th arrondissement of Paris, Sébastien Izambard taught himself to play guitar, piano and sing. At the age of five, he begun “composing” songs on his piano. He didn’t grow up with much wealth but his childhood taught him the value of friendship and family and he learned to embrace the life of a touring musician, packing his equipment into a van and taking to the road. A solo artist whose songs had an affinity with Jeff Buckley and Damien Rice, he toured with French legend Johnny Halliday, opening his shows for him and eventually becoming an established star in his homeland: his 2000 solo album, Libre, brought him a number one single, “Si Tu Savais,” in France. Sébastien Izambard is a talented writer as well, writing for many different French artists before joining the international musical sensation Il Divo. He has written with Darren Hayes, Ramin Karimloo, Guy Chambers, and Don Black. Sébastien Izambard was sought out by Carlos Marin (current member of Il Divo) and urged to audition. Sébastien Izambard performed “Caruso” while playing the piano himself, and Simon Cowell heard him and offered him the job that same day. Since then, Il Divo has had success both domestically and across the world, all while pioneering the genre of operatic pop. The multi-national classical crossover vocal group has released nine albums since 2004 which have sold for a combined 30+ million copies worldwide. Sébastien Izambard has done his share of solidarity work, which he calls “essential to his life”. He is an active member of the Assistance Medicale Toit du Monde (ANTM) which helps poor children in Nepal and India, and has raffled several of his Armani suits for the charity. In November 2014 and in partnership with his wife Renée Izambard, Sébastien Izambard led an ambitious project to raise money for Isla and Jude, brother and sister suffering from the rare and fatal disease Sanfilippo Syndrome. In association with 15 different Australian artists including Darren Hayes, Empire of the Sun’s Luke Steele, and Red Hot Chili Peppers’ Flea, and help of Sony Music Australia, he produced Hope for Isla and Jude, a single showcasing Kate Bush classic This Woman’s Work, which was released on December 5, 2014. He is also a global ambassador of the Australian Sanfilippo Children’s Foundation. For more info on Sébastien Izambard, follow on Facebook, Twitter, Instagram and YouTube.